When thinking about the best gift to send your friends, family or business associates in the US, consider making fresh flowers your top choice. Flowers are inexpensive, popular, and well-received by everyone. They make the perfect gift choice to send for all occasions. To send fresh flowers to the US has never been an easier process thanks to online florists. Click on their website, select the floral arrangement of your choice, specify your international destination (in this case, the US) and arrange for payment using a secure form. That's all you need to do to send beautiful fresh flowers from Canada to the US! If an important wedding or a funeral in the US is coming up, and you find yourself unable to attend, send fresh flowers in your place in the form of a bouquet or a wreath. The recipients will appreciate your gesture, and you'll have helped to liven up the wedding or to relieve the pain of someone's loss. If someone you know in the US has suffered an illness or an accident and is in the hospital, you can send them fresh flowers with a card to express your desires that they get well. Studies have proven that the presence of flowers can help to speed along the healing process, making this is a great idea. If you are moving to the US to accept a new job, it would be a good idea to send fresh flowers in a decorative arrangement ahead of you. Further studies have indicated that decorating the workplace with aspects of nature will act to reduce stress. A reduction in stress will result in happier bosses and workers, which will make you popular before you've even arrived. Furthermore, happier workers means greater production and better quality work, and your new boss will certainly appreciate the fresh flowers that you sent if that is the outcome. 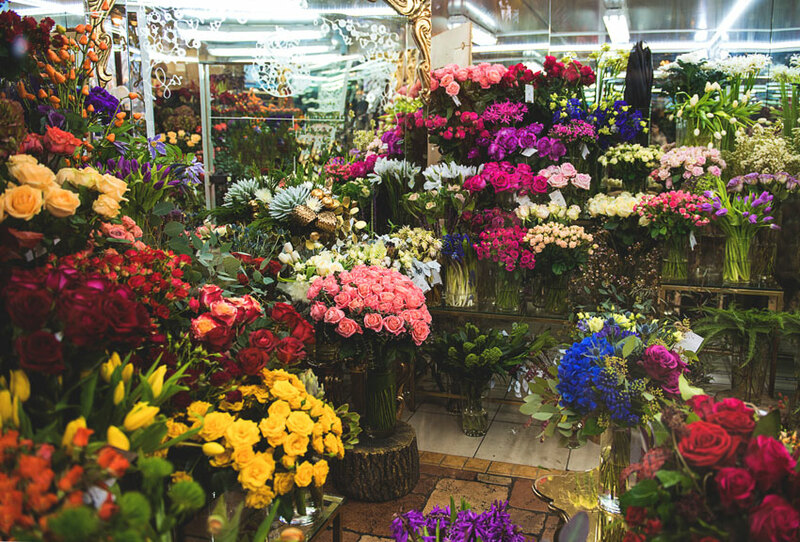 One of the best reasons to send fresh flowers to the US is that most florists guarantee same-day delivery on your purchase. This effectively negates the need to make arrangements with a florist in the US itself, allowing you to send fresh flowers without even needing to make an international call. The same-day availability is perfect in case you forget a birthday or notice on the calendar that Mother's Day has suddenly arrived. Simply call a florist or visit their website and you can send a fresh arrangement to the US without delay!